Object Permanence is one of the catchiest releases in the Weird Forest catalog but this isn't empty-calorie Diet Mountain Dew for the ears. The hooks will stand out initially but repeated listens reveal nuances embedded in the music and the care that went into creating these compositions. The boys aren't afraid of big hooks and choruses but they warp traditional song structures and abandon verse-chorus-verse. 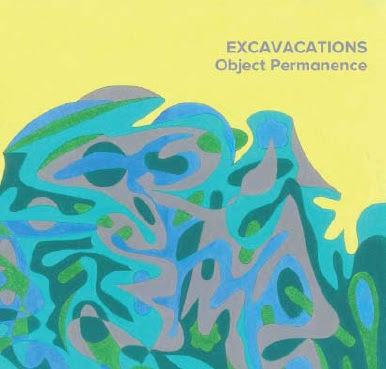 Indeed, Excavacations don't write songs as much as they craft delicate sonic vignettes, song miniatures that ebb and flow, often interweaving and bleeding into each other. Maximalists by nature, nearly every track incorporates overdubbed layers and unusual sonic elements into its core but somehow it all just works -- the songs never sound overcrowded or weird for the sake of it.